After gathering all the necessary materials that I needed, some are already in my stash some needs ordering online. I was able to finish this bag that I've been dying to make since I bought the class. 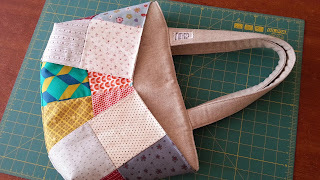 Its Colorful Patchwork Bags and Baskets from craftsy.com by Caroline Fairbanks-Critchfield. 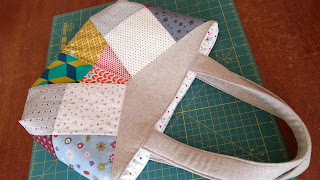 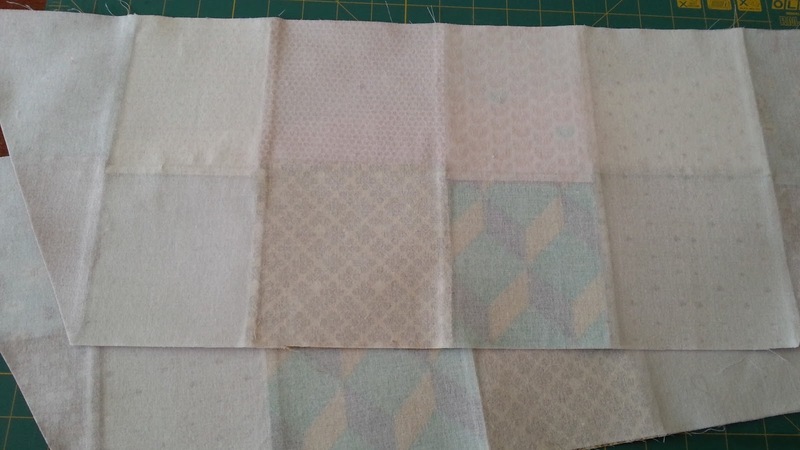 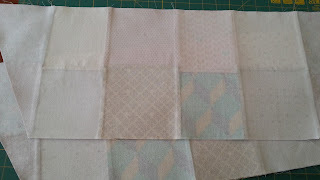 Normally I would use the gridded interfacing, its just that where I am located it is by centimeters and not in inches so I opted to not buy it and instead do it the usual way and that is to piece it but I did use a woven interfacing at the back. 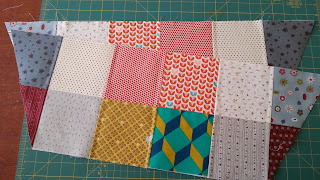 I am no expert when it comes to quilting I am just beginning to learn and enjoy. 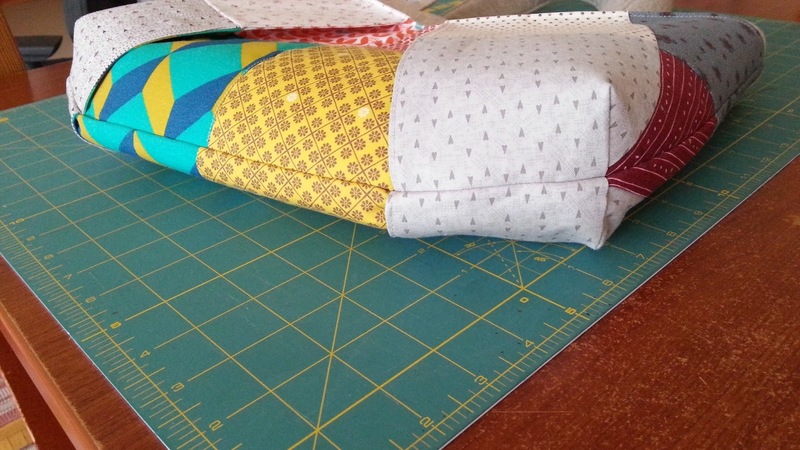 And since I am into bags, I will do and try out new things. 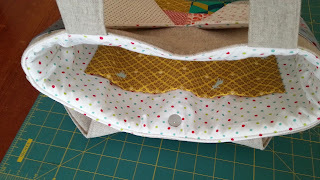 Front part of the bag and the inside there are pockets, the bag is lined with soft&stable by annie, the closure is magnetic snaps. 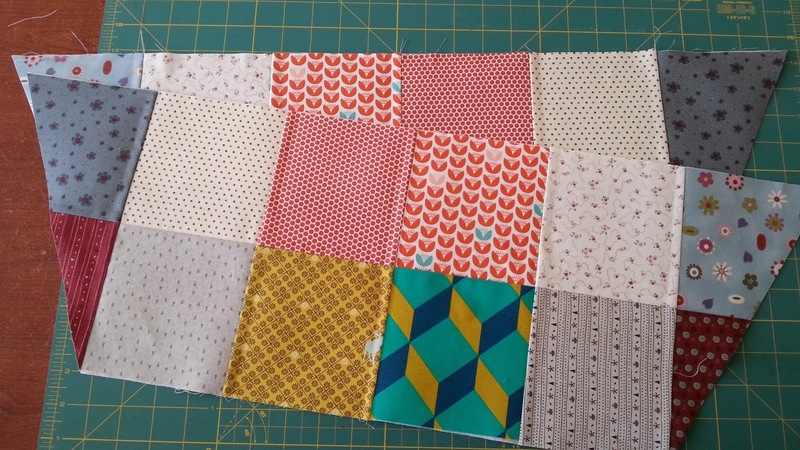 I ask craftsy and Caroline if it is ok to sell sewn projects that I made from this class and they said yes. So you will see this bag at etsy.